Phylogenetic trees. I love you almost as much as dichotomous keys…almost. 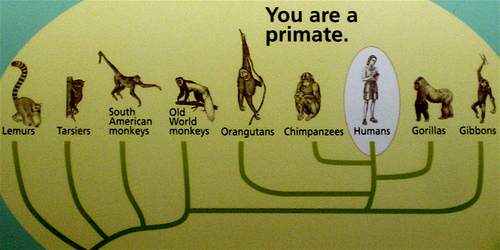 Like most charts and graphs, phyogenetic trees aren’t big interpretive hits in museums. The fault isn’t that the information is boring – evolution is about as amazing and awe-inspiring as it gets (for this bio-nerd, anyway). The problem is that the information is too interesting. Taking concepts as complex and intricate as the development of life over deep time and reducing them into two-dimensional images? No easy task. Image sources here, here, here, here, here, and here. 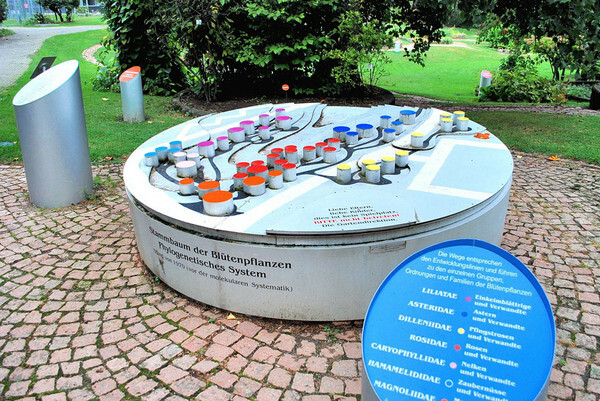 The Universität Freiburg Botanischer Garten (remember them?) is taking a different approach. 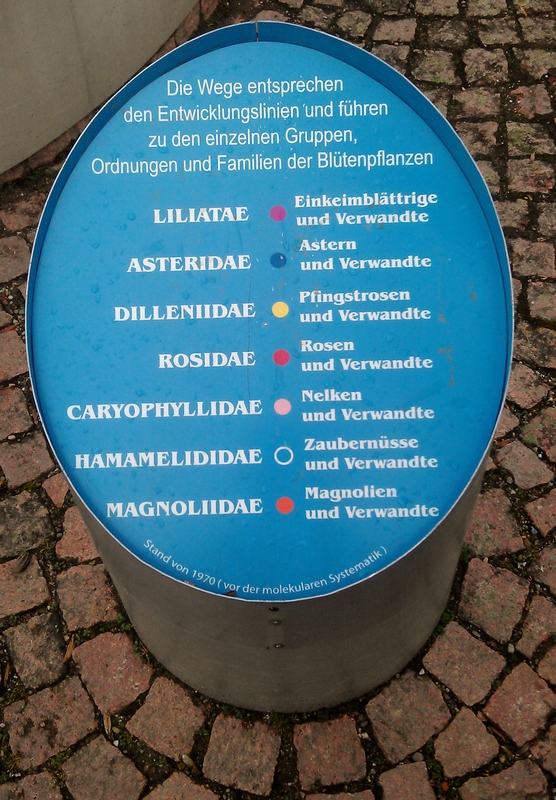 Instead of putting evolution on paper, they planted it in the ground with a life-sized phylogentic tree of flowering plants. 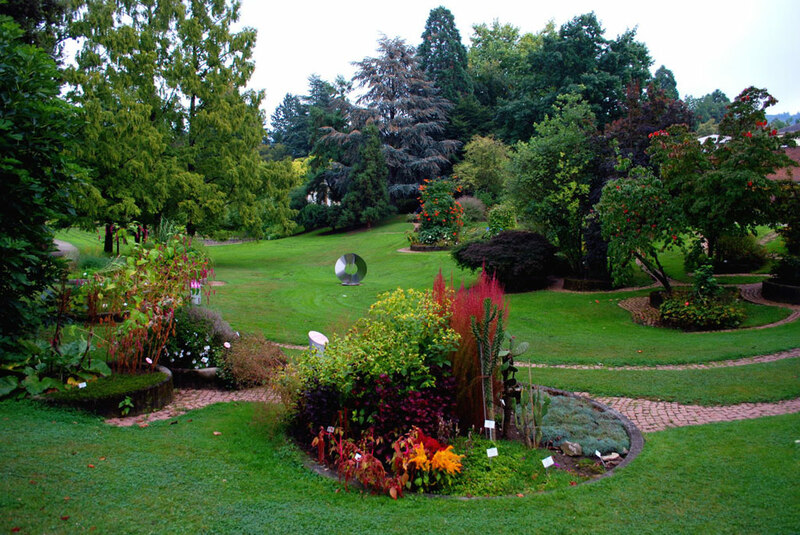 Flowers are arranged by their relationships to one another, and as you walk through the garden you walk through time. From an interpretive point-of-view, there are still some things missing. 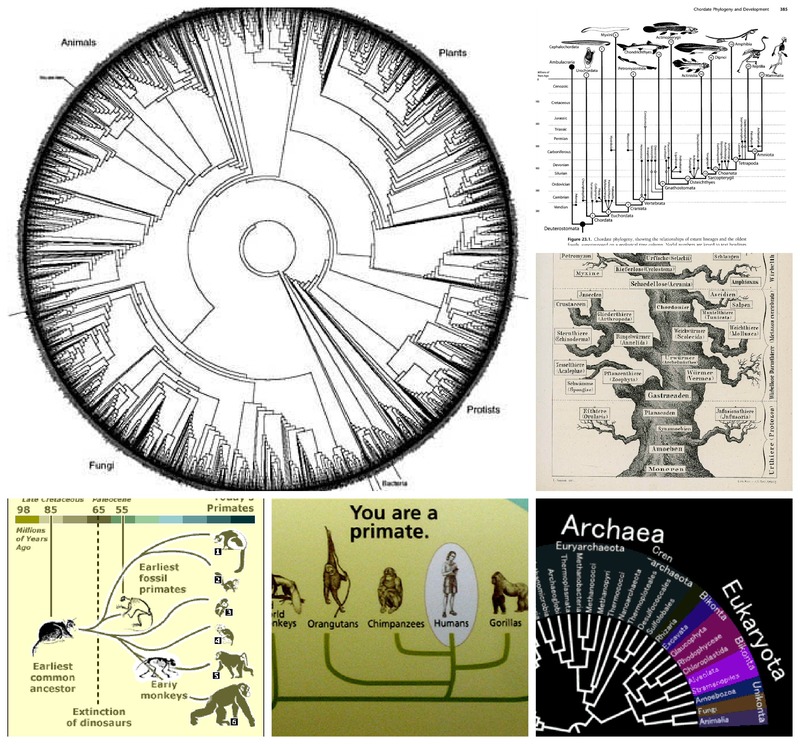 The design is a phylogenetic tree, but there’s no discussion of what a phylogenetic tree is. 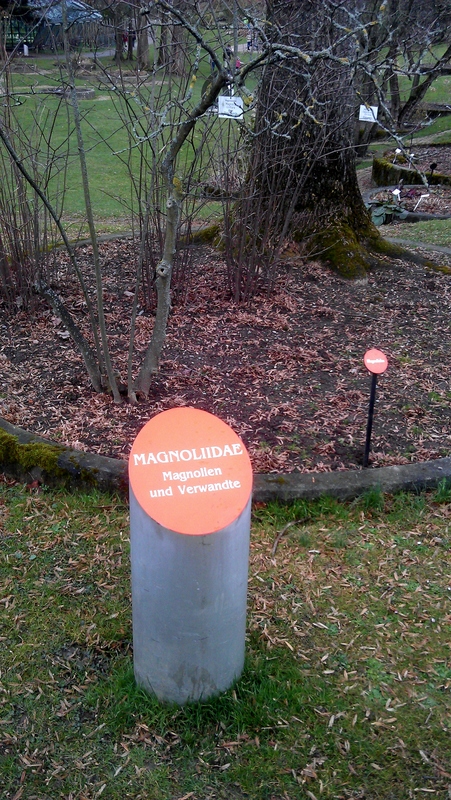 I’d love to see references to time – Magnolidae are some of the oldest flowering plants, but how old are they? – as well as content reinforcement. With the exception of the intro panel, there’s no interpretation of why plants are where they are. Which explains why it took me three visits to notice I was walking a phylogenetic tree – I’d always missed the introduction. Even so, there’s the seed (ba-dum-tss!) of a great idea here. I love how visceral the experience is – it’s easier to think about moving through time when you, yourself, are moving. The scale is inspiring, with big ideas working on big canvases. And while I haven’t attended any programming at the garden, I’m curious how the setting might influence content. When your stage is a map of evolution, what stories do you tell? It’s exciting to think how big-scale phylogenetic design could be used in other institutions, too. I’d love to see a zoo where animals are arranged by evolutionary age and relationship, instead of zoogeographic region.